The ever increasing complexity of knowledge, skills and abilities (KSAs) demanded of Department of Defense (DoD) personnel has created the need to develop tools to increase the efficiency and effectiveness of training. This is especially true for the F-35, the first 5th-generation aircraft to use an HMD as the primary instrument display. Additionally, the F-35 can perform operations previously performed by multiple operators, which potentially places incredible strain on the pilot’s cognitive resources by exposing him to large amounts of data from disparate sources. It is critical to ensure training results in pilots learning optimal strategies for operating in this information rich environment. 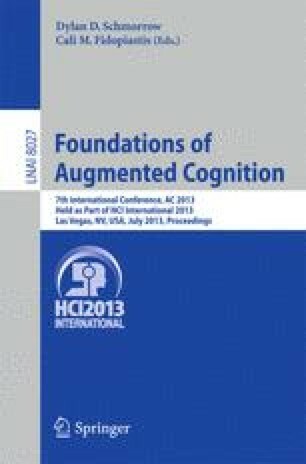 This paper discusses current efforts to develop and evaluate a performance monitoring and assessment system which integrates eye tracking and Electroencephalography (EEG) technology into an HMD enabled F-35 training environment to extend traditional behavioral metrics and better understand how a pilot interacts with data presented in the HMD.